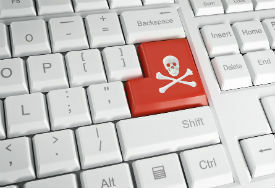 The Dutch movie industry is holding the local government responsible for the country's high piracy rates, claiming it tolerated and even encouraged unauthorized downloading for years. In response, a coalition of movie companies is demanding damages for the losses that they've suffered over the past decade, totaling more than a billion euros. Compared to many other countries around the world, pirating movies and TV-shows is hugely popular in the Netherlands. Up to a third of the population is estimated to download and stream copyrighted content without paying for it. This high percentage is not surprising as the Netherlands has traditionally been a relative safe haven for pirates. Downloading movies without permission was not punishable by law until the European Court of Justice spoke out against the tolerant stance two years ago. As a result the Dutch government quickly outlawed unauthorized downloading. However, breaking the habits of a large section of the population will take more than that and local piracy rates still remain high. This has prompted Dutch filmmakers and distributors to hold the Government responsible and they’re now demanding compensation for the piracy losses they claim to have suffered. In a letter sent to Secretary of State for Justice, Klaas Dijkhoff, a coalition of film industry companies claim 1.2 billion euros ($1.34 billion) to compensate for damages dating back to 2004. “The Dutch State has maintained for years that copying from illegal sources was allowed. The result was that an entire generation of consumers believes that downloading without paying for it is simply allowed,” the filmmakers write (via Tweakers). “Through this letter we hold the Dutch government liable for the damage. We want the Dutch State to take responsibility for its unlawful legislation and the resulting damage,” they add. The companies base their billion euro claim on research from Considerati, which estimates the losses at 78 million euros per year. Including rent that comes to a total of 1.2 billion euros. However, according to the movie companies the losses may amount to more. “The actual damage is expected to be even higher. Recent figures show that the revenue from video-on-demand have dropped off massively in 2014 and 2015, compared to 2013,” the letter adds. Among other things, the movie companies suggest using the damages for various anti-piracy campaigns. In addition, they suggest stronger enforcement against copyright infringers. The Dutch government has until later this month to respond or else the movie industry companies will take legal steps.